Moisturizer, Cleanser, Toner, Sunscreen – that just about makes up the ideal skin care kit. Oh wait, there’s something missing here: Facial Masks. Facial masks, also known as face masks, are normally used after exfoliation, cleansing and extractions. These masks help to treat a range of skin care conditions and also help in rejuvenating your skin. For example, if your skin is feeling dry, a face mask can be used to increase the hydration levels. Similarly, if your skin is affected by inflammation, a face mask can help to soothe it. Moreover, facial masks offer your skin care routines with something that no other product can – pampering. You might not be looking to add onto your skincare routines and make them even longer, but you’re left with no option when it comes to face masks – they’re simply one of the best nourishing treats that you can offer to your skin. These face masks generally stay on your skin for anything between 10 – 15 minutes. They are made from a range of ingredients such as aloe vera, algae, clay, vitamins, massage oils, essential oils and herbs. However, it is important to ensure that you choose the right kind of face masks depending on your particular skin condition if you plan to get the most out of them. There are three main types of face masks available in the markets. In the unending quest for eternal beauty, we are always searching for products and solutions to rejuvenate and revitalize our skin and boost our skincare routines. One of the best ways of taking care of your skin care routines is to use a face mask. It can help you with wrinkles, fine lines, oily skin, dry skin, rosacea, dark spots, hydration, and blemishes. Here are some of the biggest skin care benefits offered by face masks. Assorted benefits – One of the biggest benefits of using a face mask is that it allows you to cover a range of skin care issues with a single application. Facial masks do wonders to moisturize, lighten and cleanse your skin. Moreover, there is a unique face mask for all kinds of skin. Even skin tone – Face masks can be used to reduce hyperpigmentation issues and give your skin an even tone and a proper texture. Facial masks also help in promoting your sweat gland to increase the oxygen content of your skin. Refining your skin pores – Face masks allow you to boast of clearer skin and refined pores. It helps to cleanse and close your pores and remove metabolic wastes and dead skin cells that can end up clogging them. Hydrating your skin – Face masks can also help to hydrate and moisturize your skin. The water content of these masks sinks into the deeper layers of the skin and helps to enhance its elasticity. Reducing dry skin problems – By providing the proper nourishment to your skin, a face mask can help you rid of dry skin issues and leave you with a healthy and rich looking skin. Rich in antioxidants – Face masks are known to contain a number of antioxidants that can assist in preventing skin aging and tissue damage. Drawing out your skin imperfections – Finally, facial masks can also help in assisting you to draw out dirt and excess oils from your skin and tighten your pores to improve your overall appearance. Apart from offering a range of skincare solutions, face masks are also known to be excellent solutions for those looking for anti-aging treatments. Most face masks contain a range of antioxidants and vitamins that not only help to hydrate and nourish your skin but also help in reducing your fine lines and making your skin younger and softer. Here are some of the biggest anti-aging benefits offered by face masks. 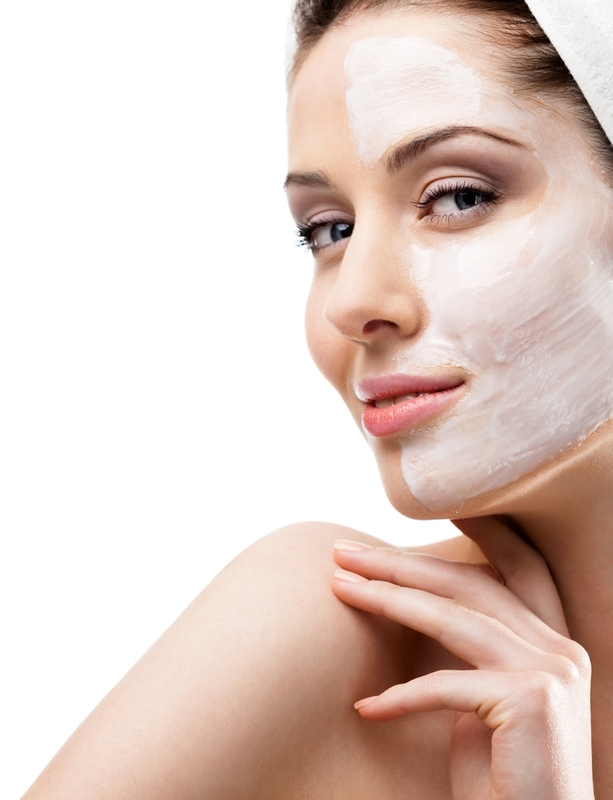 Firmer skin – Face masks can help you to look much younger than your age by giving you with firmer skin. There are a number of face masks that also boost your collagen production levels and fight off the damage caused by free radicals. This helps your skin to become tighter, fresher and firmer over a period of time. Reducing fine lines – Proper and regular use of face masks can help you to eradicate those brown spots, wrinkles and fine lines. They also help to bring about a smoother and softer texture.